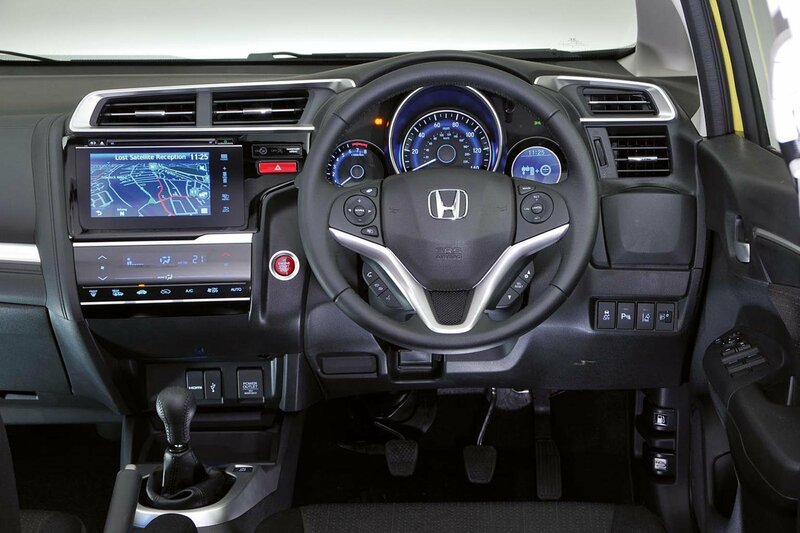 If interior space or easy access is critical for you, then look to the Jazz. There’s plenty of head and leg room in the front and back, and the high roof and doors that open to nearly 90 degrees make life easy for those who need to access child seats, or who have restricted mobility. The Fabia is as spacious as small cars get, short of the Jazz. Four adults will be perfectly comfortable, since front and rear leg- and head room are very good by class standards, and access is good, too. By contrast, the Ibiza’s cabin is cramped. While taller adults will be okay up front, they’ll probably find their knees hitting the front seatbacks when sitting in the back, and head room is tight for taller rear passengers, too. The Seat also has the smallest boot, and folding the rear seats is a faff as you have to first flip up the rear seat bases, and they don’t fold completely flat. Predictably, the Jazz has the biggest boot, and its rear seats topple completely flat in one easy movement. It’s also only a moment’s work to lift the rear seat bases up cinema style to create a deep, through-loading area in the rear cabin. The Fabia’s boot is almost as big as the Jazz’s, and has some useful cubbies and bag hooks. Alas there’s no variable-height floor or underfloor storage, and there’s a relatively hefty lip at the boot entrance. The Jazz is let down by its driving position. The seat is very flat and doesn’t offer much thigh support, making you feel as though you’re sliding forwards off the seat. 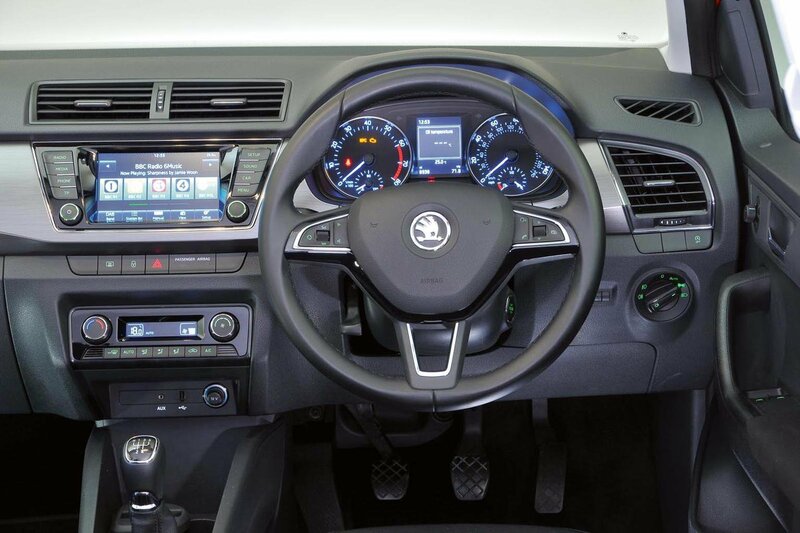 Taller drivers may also struggle to see the dials clearly because the steering wheel gets in the way. 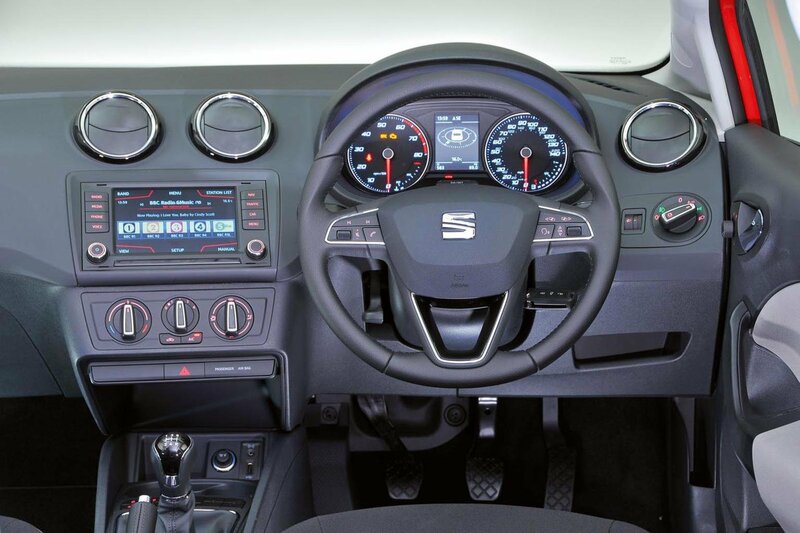 The Skoda and Seat have better driving positions, with more supportive seats that offer a greater range of adjustment. Forward visibility is good in all three, but the Skoda has the best rearward view. 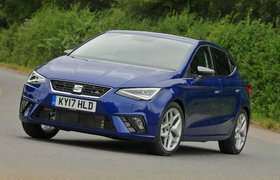 The Seat, and even more so the Jazz, have narrower rear windscreens and bigger blind spots to be conscious of when changing lanes.